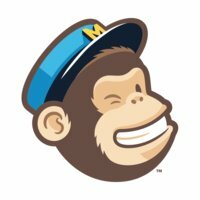 Mailchimp is a leading marketing platform for small business. We empower millions of customers around the world to build their brands & grow their companies with a suite of marketing automation, multichannel campaign, CRM, & analytics tools. We are looking for a Senior Product Manager that will define the product vision & roadmap that delivers data-driven insights to our customers in order to optimize their marketing strategy. In this role you will be responsible for improvement of Mailchimps customer experience to make insights more approachable, valuable & differentiated within todays market offering. Our marketing platform team delivers customer facing products that democratize complex marketing solutions for small businesses. Develop a framework that allows for rapid build-measure-learn cycles to incrementally improve platform level features. Mailchimp is a founder-owned & highly profitable company. Our purpose is to empower the underdog, & our mission is to democratize cutting edge marketing technology for small business. We love Brooklyn & are happy to have a small but growing office with sunlight & views in the heart of Brooklyn Heights. We're centrally located at Cadman Plaza/Borough Hall, a short walk to the Brooklyn Promenade & within a few blocks of 9 subway lines (2, 3, 4, 5, N, A, C, F & R lines). Our headquarters are in the heart of Atlanta in the historic Ponce City Market, right on the Beltline. We offer our employees an exceptional workplace, extremely competitive compensation, fully paid benefits (for employees & their families), & generous profit sharing. We hire humble, collaborative, & ambitious people, & give them endless opportunities to grow & succeed. If you'd like to be considered for this position, please apply below. We look forward to meeting you! Mailchimp is an equal opportunity employer, & we value diversity at our company. We don't discriminate on the basis of race, religion, color, national origin, gender, sexual orientation, age, marital status, veteran status, or disability status.